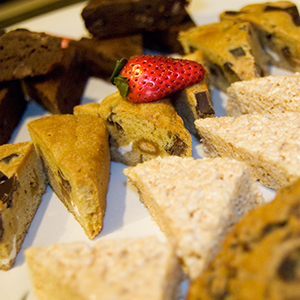 The deadline for placing an advanced catering order is 5 business days (Mon-Fri) before your event by 5:00PM. If you miss this deadline, you may order off the limited selection day of event menu inside your suite. The luxury suites in Minute Maid Park are designed to give guests a memorable experience in every way possible. Whether you are purchasing a suite to cheer on the Houston Astros or are coming to dance the night away at one of the amazing concerts, you should not skip out on ordering catering to be served in your suite. 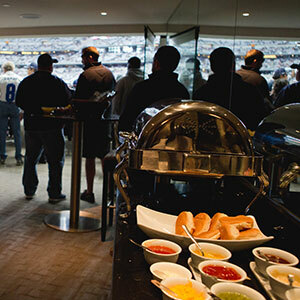 In-suite catering truly lets your private Minute Maid Park event stand out. 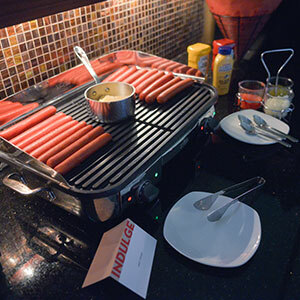 The catering staff at Minute Maid Park have carefully planned out menu options including beverages that are delicious, fresh, and unique. You don’t attend a baseball game or concert in a suite to just stand in line for some nachos. 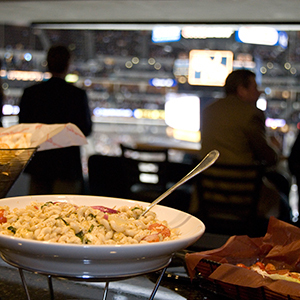 Let the suite attendants bring gourmet food to you so you can sit back and relax, cheer on the Astros, or sing every word from the privacy of your suite during the concert. 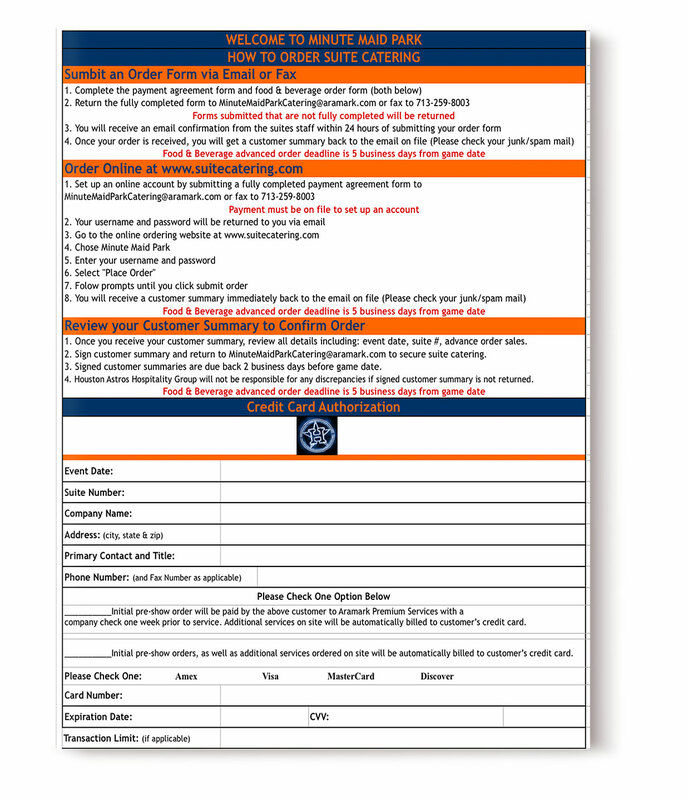 The Minute Maid Park Catering guide puts all the information you need in regards to ordering for your event at your fingertips. Make it really easy and just use the order form that the SuiteHop experts have already filled out with their recommended catering order. Ordering catering is a complex and confusing process. To help extend your catering budget, we recommend selecting family style items (such as pulled pork) instead of individual portions (steak). 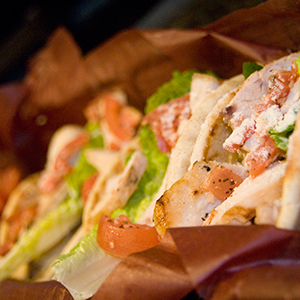 Most catering menus, including those at Minute Maid Park, require a minimum order of 6 portions. You do not have to order portion for every guest you are expecting to attend. 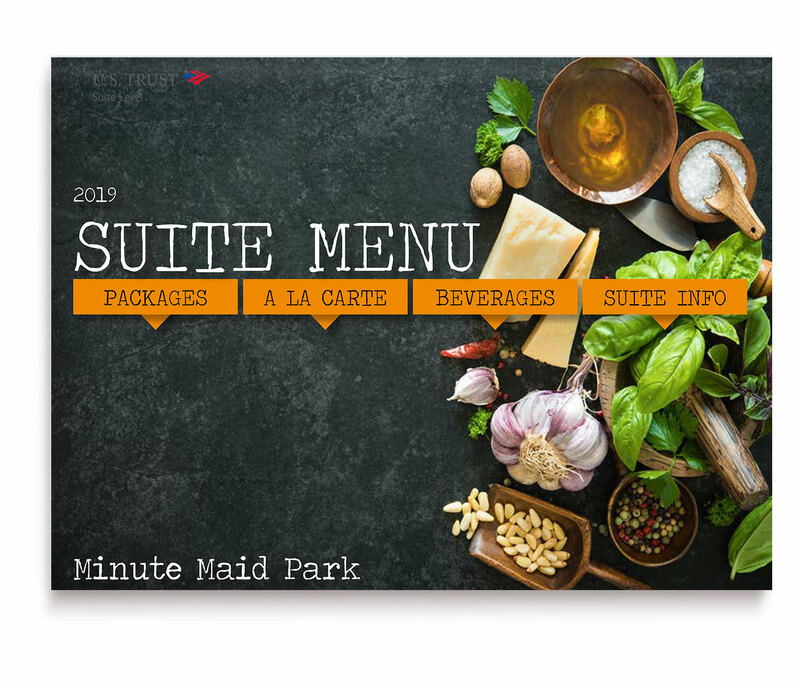 This menu is based off the 2019 Minute Maid Park catering menu. Items are subject to availability. Don’t be left in the dark about the complexities of a catering order and end up with a surprisingly expensive bill at the end of the evening. 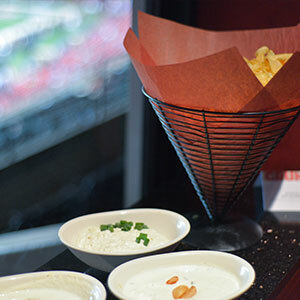 We’ve put together a list of our top Suite Catering Tips for Minute Maid Park. Be aware of the service fees. An additional 18% + sales tax is added onto your final bill to cover service costs from Aramark Premium Services.